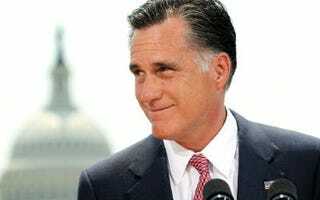 (The Root) — Yeah, Mitt Romney isn't out of touch or anything. In Sunday night's 60 Minutes interview, he offered a simple solution for people without insurance, saying that emergency rooms are great ways to provide health care. So what if there are millions of people with diabetes, heart disease and high blood pressure that don't have insurance and aren't having those issues dealt with? So what if those people end up at the ER only when things go so terribly wrong that they have no choice in the matter? So what if the costs of ERs are so astronomical that those people who can't afford health care now have thousands of dollars' worth of medical bills and many times haven't actually had their health problem dealt with? So what Mitt Romney didn't agree with this just two years ago, when he appeared on MSNBC's Morning Joe and said that using ERs as health care wasn't fair to tax payers, who pick up the cost when the uninsured can't afford it? Elon James White is a writer and satirist and host of the award-winning video and radio series This Week in Blackness. Listen + Watch Monday to Thursday at TV.TWIB.ME and subscribe on iTunes. Follow him on Twitter, Facebook, Google+ and Tumblr.